It’s no secret that smoking isn’t a healthy habit, but sometimes teens decide to take the risk. So, what will help to keep them from lighting that cigarette? 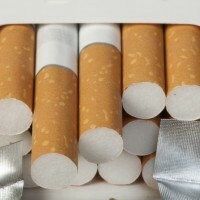 A new study found that the answer may lie in cigarette packaging. Researchers surveyed two groups of people — half were smokers and the other half did not smoke. Each participant was shown various health warning labels on cigarettes packaging that state negative consequences associated with smoking. These consequences included lung cancer, heart disease, stroke, vascular disease, and eye conditions. Some packages had a combination of text and image warnings, while others only had text warnings. After seeing these warning labels, participants rated how effectively each label influenced their understanding of the health risks associated with smoking, whether it increased their knowledge of these conditions, and whether it made it them worry. Finally, they were asked to rate whether it discouraged them from smoking. Overwhelmingly, participants in both smoking and nonsmoking groups had a greater understanding of health risks of smoking when looking at the warning labels that had both text and images. These labels also made them worry more about the consequences and were more effective in discouraging them from smoking. Although this is a preliminary investigation, from a policy perspective, these outcomes suggest that focusing on deriving greater understanding and knowledge from such labels may have more impact in terms of both motivational and emotional responses. Importantly, however, these labels are only a small piece of what should be a larger campaign to educate the public on the dangers of smoking. This study should help you think about the way you teach teens about the dangers of smoking. Don’t just talk to your teens about the health consequences or have them read about it, but be sure to show them images as well. This may be more effective in preventing them from smoking than just talking or reading text alone. For more on smoking, check out Choices articles “Teens vs. Cigarettes” and “E-Cigarettes: Can They Kill You Too?”! 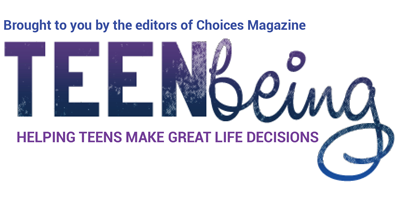 Choices is a teen health, well-being, and life skills magazine published by Scholastic.